Learn more about the benefits of monthly donations with the Advocate Circle here. Every donation we receive plays a fundamental role in our work to end sexual violence. $20 keeps our hotline running for a day. $30 provides a new clothes for a survivor at the ER whose clothes are collected as evidence. $125 provides a therapy session for a child or adult survivor of sexual violence. Using the secure Everydayhero platform, you can host a SARA fundraiser for any occasion, like a birthday or an athletic goal. Invite friends to join the movement to end sexual violence. If you are interested in donating in-kind, please review our Wish List on AmazonSmile. We also have a Book List in hopes of building a lending library and encouraging community members to learn more about how they can get involved with ending sexual violence. 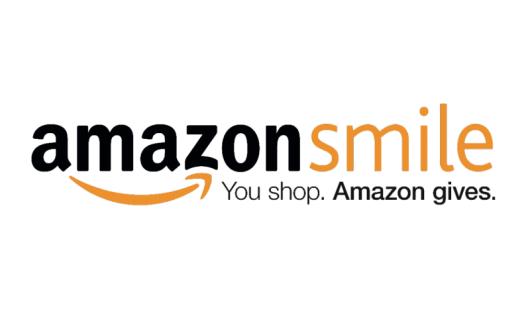 Shop using AmazonSmile and choose SARA to benefit. Reached almost 4,000 community members through presentations, providing resources, knowledge, and skills for helping survivors of sexual violence. Reached over 3,000 students with prevention messages to stop sexual violence from happening. Provided support to over 300 survivors of sexual violence, their friends and family. Attended to 65 survivors during their forensic exam at the Emergency Room. Provided 2100 hours of support to survivors of sexual violence. Trained over 350 adults to prevent sexual abuse. Our Therapists are trained in EMDR (Eye Movement Desensitization and Reprocessing), a leading evidence-based treatment for survivors of trauma. SARA Advocates provide information about the legal process and accompany clients to court proceedings. SARA Advocates bring extra clothing, stuffed animals, snacks, informational resources, and more in a bag with them each time they meet a survivor at the hospital, to be fully prepared to meet their needs. Our prevention staff work with each school community to develop a creatively tailored plan to engage the entire community in changing the students’ lives. Our prevention staff never work only with girls – all students need support and education about prevention sexual violence in our community, because it affects us all. Our prevention staff train teachers and administrators, coaches and bus drivers, parents and clergy, how to advance sexual violence prevention among the young people in their lives. By funding these positions, you are supporting a fundamental change in our community, where survivors of sexual violence are supported and heal well, and where the next generation stops sexual violence before it starts.